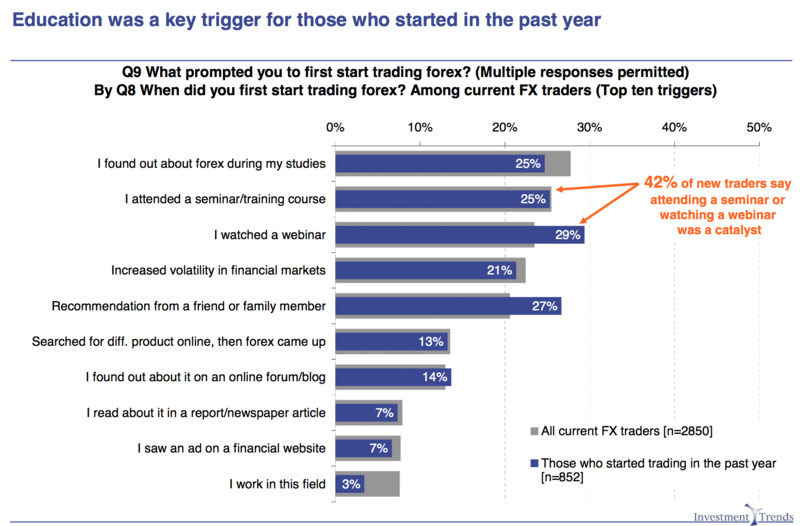 The latest Investment Trends survey on the habits of US forex traders shows some promising signs. One of the leading research houses that is focusing its efforts on the retail forex industry, Investment Trends has just published some key findings from its 2016 US Foreign Exchange Report. The company has surveyed over 8,800 investors and traders in order to get a glimpse into the current and future state of the market in the U.S. According to the summary of findings which the company has released to the press, for the first time in four years the industry is showing signs of stabilization. The number of retail forex traders has increased for the first time since 2012 with the diminishing return expectations for equities contributing to increasing interest in retail forex margin trading. According to the findings in the 2016 US Foreign Exchange Report, during the past 12 months to June 2016, the U.S. industry has grown by 5 per cent to 105,000 traders. One figure worth highlighting in the 2016 US Foreign Exchange Report is the number of new forex traders in the U.S. that have entered the market in the past year – marking 27,000 individuals, the number is just above the number of traders that have returned to the market – 25,000. These two figures combined are somewhat higher than the 47,000 active traders that have left the market. According to the findings of Investment Trends, the number of new traders that are planning to join over the coming year is even higher. The figure totals 35,000 and is expected to tilt the scales for the market over the next twelve months by growing the total number of traders towards the 2012 highs. Looking at the performance of different brokerages, especially after the exit of Interactive Brokers from the market, it’s all about the big three in the U.S. – FOREX.com, FXCM and OANDA. 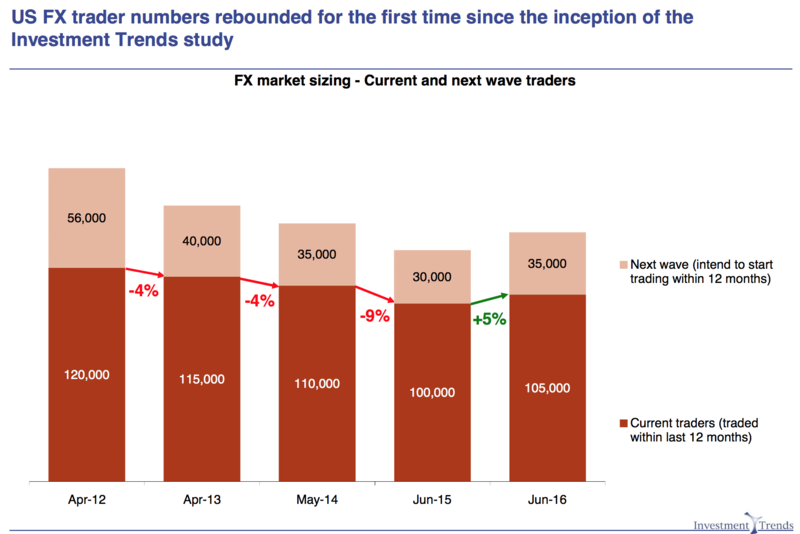 As of the end of June 2016, the trio controlled two thirds of primary relationships with active FX traders, which is up by about 8 percentage points when compared to the 2015 figure. 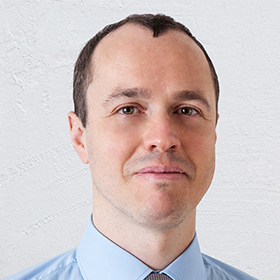 The lead of FXCM is undisputed, while the acquisition of the TradeStation book by OANDA has driven it into second spot according to the research firm. Looking at the total numbers of the companies, which include white labels, Dr Guiamatsia shared with Finance Magnates that FXCM retains the crown with GAIN Capital coming in second and OANDA in third. This data is consistent with recent reports from the U.S. Commodity Futures Trading Commission (CFTC). “The US FX industry is uniquely shaped with only a handful of players contesting market share. The flight to quality that followed the SNB decision continues to benefit the largest brokers, but stringent regulation is increasingly making it hard for smaller brokers to compete,” elaborated Dr Guiamatsia. Looking at the number of potential switchers, the 2016 US Foreign Exchange Report states that about one third of them have not yet taken a decision as to which brokerage they are going to pick. Meanwhile, 18 per cent of existing forex traders in the US have changed their brokerage during the last year. The number is barely higher than last year’s 17 per cent. One fifth of all switchers had no choice but to jump ship, because their brokerage was exiting the U.S. market. Overall the number of clients that are interested in changing their brokerage has declined since 2012, when 23 per cent of traders were looking into a different option. The total number of traders that are going to look for a new brokerage, including switchers and prospective new clients, is 44,000. According to the findings of Investment Trends, one in three traders have not yet made their choice. “Increasing market concentration means those who are shopping around for better value will be faced with limited options. To prevent client defection to the very strong competition, brokers need to continue to demonstrate the value of their offering through high client satisfaction,” Dr Guiamatsia concluded.